Durex Invisible Extra Thin Extra Sensitive, cutie 3 bucati. 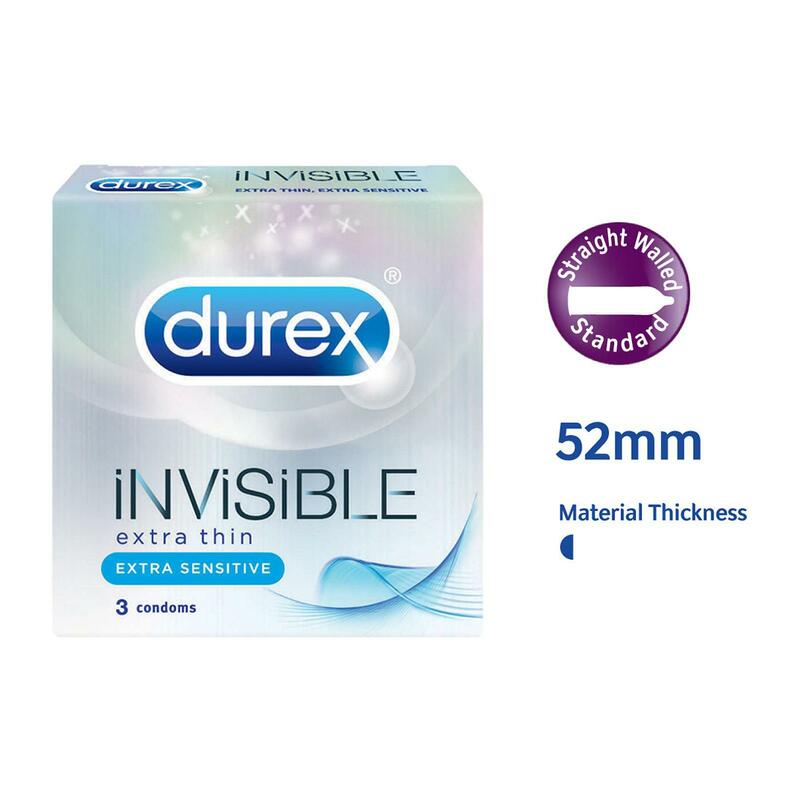 Prezervativele Durex Invisible Extra Thin Extra Sensitive sunt cele mai subtiri prezervative realizate de Durex (doar 0,07mm), concepute pentru a creste sensibilitatea, oferind in acelasi timp un nivel ridicat de siguranta si protectie. Senzatia in timpul actului sexual este ca NU ai prezervativ iar partenera simte finetea si placerea prezervativelor Durex Invisible. 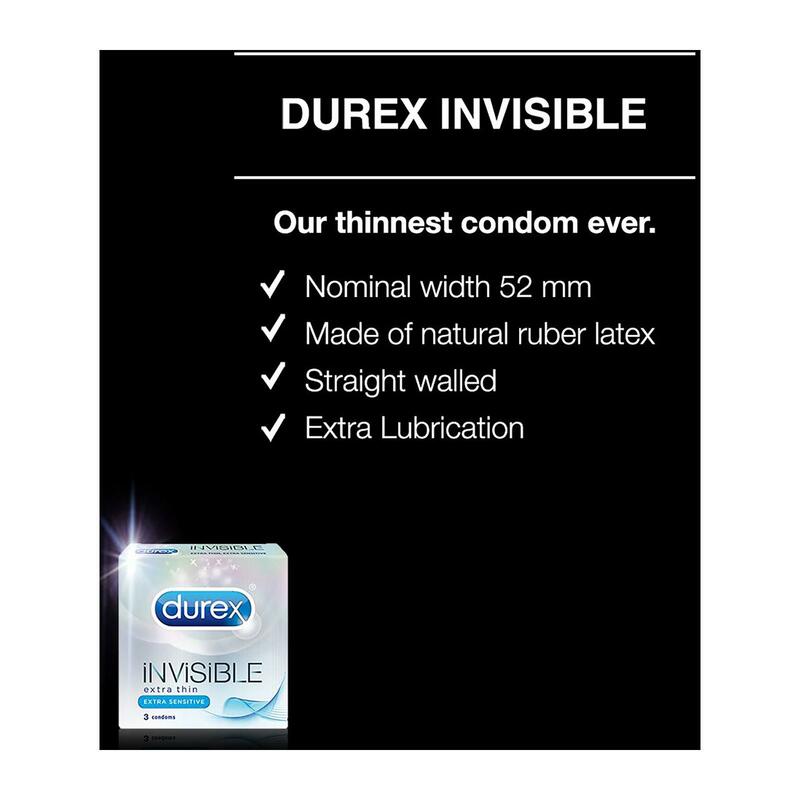 Incearca odata Durex Invisible Extra Thin Extra Sensitive si te vei indragoste de ele apoi vei folosi apoi toata viata. Prezervativele Durex sunt testate dermatologic. Condoms for more intense pleasure for both partners. Try them and you will see how great they really are! Durex - largest condoms brand in the world. They are very practical and pleasurable. 1. Ultra-thin Durex thinnest ever, designed for a more natural feeling to heighten sensitivity. 2. Naturally-soft As soft as the feeling of skin, so you can indulge in real pleasure. 3. Amazing lubrication With lube for her ultimate comfort and enjoyment. No friction, no stickiness. 4. Pleasurable fit provides greater sensitivity to where it's needed most, for a closer fit and enhanced intimacy.